The UK government has included plug-in vehicles on its greenhouse gas conversion tables for the first time, aimed at helping fleets to better understand their environmental impact of new drivetrains. New data is aimed at making it easier for fleets to calculate their greenhouse gas emissions. 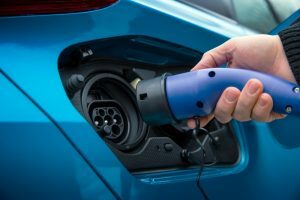 Available via the Department for Business, Energy and Industrial Strategy website, based on data calculated by Ricardo Energy and Environment, the additional data is said to recognise the growth in the UK’s electrified vehicle parc and wider interest from fleet operators. It enables detailed calculations of greenhouse gas output for plug-in hybrid and electric cars and vans, underpinning more accurate reporting and predictions of how future vehicle deployment could affect businesses’ emissions. Other important updates for 2017 include the addition of factors to determine the emissions associated with overnight stays in hotels, and changes to the methodology for calculating well-to-tank emissions for a number of transport fuels.